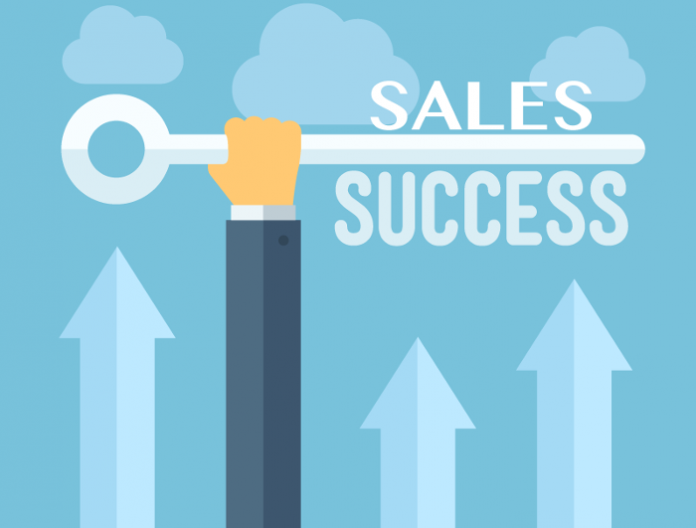 According to Brian Tracy, a top sales trainer and motivational speaker, there are seven secrets that can literally revolutionize the career of any salesperson. He notes that these secrets are practiced by the world`s top sales executives and posits that any salesperson who commits to regularly applying these secrets will definitely advance towards the top of his/her field. www.ghanatalksbusiness.com presents these ‘secrets’ as championed by Brian Tracy. Resolve to advance to the top of your field. Make a decision today to join the top 10% of sales executives who are making the most money and commit to working towards its realization. You are the only individual who can hinder yourself from being amongst the best in your chosen career. Be mindful of the fact that it takes just as long to be a higher achiever as to be mediocre. Time will elapse any way. Your role is to commit to excellence, to improve each day, and to never throw in the towel until you realize your dreams. The reality is that top sales executives are selective about the people they associate with. They avoid spending considerable time around negative people so as not to be dragged down by their proclivity to complain and to be pessimistic. Associate with the right people. Charlie Jones opines: “you will be in five years the same person you are today, except for the books you read and the people you meet.” Positive-thinking people associate with other positive-thinking people. Possibility-thinkers associate with other possibility-thinkers. Winners associate with winners. When you consciously work at becoming an optimist to the core, believing in yourself and your capabilities, you will begin attracting into your life other people who think and feel the same way. The story is told of a 100-year-old man who was interviewed by a media house and asked how he felt upon reaching 100 years of age? He said, “If I had known that I was going to live this long, I would have taken much better care of myself.” This speaks volumes. That should not be your story; a story of regrets. Determine your ideal weight and proceed to devise a plan to achieve that weight; work at it and maintain this ideal weight as much as practicable for the rest of your life. Determine the level of physical fitness and energy you would like to enjoy, and commit to exercising regularly so that you feel terrific about yourself. Continually say positive things to yourself such as “I love myself”; “I am the best in my field”; “I love my work”; “I excel at work”; “I can do it”; “I am a top sales personal”. By this, you learn to control your inner dialogue and this will significantly influence your emotions for good. Many Psychologists agree that one`s emotions are largely determined by the way that individual talks to himself/herself throughout the day. “Explanatory style” is a term they commonly employ. Albert Einstein once stated: “Nothing happens until something moves.” Take action right away with a “sense of urgency. One of the common traits of successful people is that they are intensely action-oriented. They are constantly on the go. For persons who work in sales (particularly direct sales representatives), the faster your pace, the more ground you cover; the faster your pace, the more people you get to meet. The more people you get to meet and interact with, the more sales you make. More sales will translate into more earnings. As your earnings increase, you will feel motivated to see even more people, to make even more sales, and to make even more money. Keep saying to yourself: “Do it now! Do it now! Do it now!” until these words become programmed into your thought patterns and emotions. Your responsibility is to keep moving. Work at ensuring that you are the fastest-moving person in your sales team – the one who is constantly on the go. Previous articleThe Sino-Afro Deal; Is it a Debt Trap or Marriage made in Heaven?